The Gujarat government’s controversial, indeed costly, Deep Discount Bonds, floated way back in 1993 in order to raise money for building the Narmada dam after the World Bank put stringent environmental conditions for providing loan, are back in news. Fingers are crossed on how it would manage whopping around Rs 7,500 crore it was to pay to lakhs of bond holders, who were to be paid by January 2014 on the bond's 20 year maturity. In all, 6.69 lakh bonds were issued. The Gujarat High Court has struck down a 2008 law of the state assembly, which allowed the state government to prematurely “retire” the costly bonds in 11 years (by May 2004) cheap, 10 years before were to mature. The bonds were issued after the state government decided not to comply by World Bank conditions, put forward through the Bank’s well-known Morse Committee report, and thereby forego the loan. It first mulled over roping in Gujarati diaspora to mobilize financial resources. But this failed. 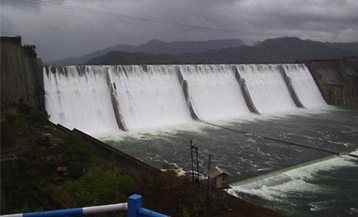 On November 1, 1993, it allowed the Sardar Sarovar Narmada Nigam Ltd (SSNNL), the state agency building the dam, to issue bonds worth Rs 300 crore, each for Rs 3,600. As the redemption amount promised was unprecedented – Rs 1,11,000 – after 20 years (January 2014, at the interest rate of 17.5 per cent), it was a huge success. However, in 2008, the state government "found" that the bonds would mean a huge financial burden of state coffers – Rs 7,448 crore by January 2014, when the bonds were to mature. This led it to pass the Sardar Sarovar Narmada Nigam (Conferment of Power to Redeem Bonds) Act, 2008, declaring, this would help the SSNNL to save around Rs 4,500 crore immediately. While many investors allowed their bonds to be redeemed, a petition was filed in the high courts of Gujarat, Maharashtra and Karnataka challenging the vires of the Act. The matter reached the Supreme Court through a transfer petition. In 2013, the apex court directed that all the matters to be decided by the Gujarat High Court. The petitioners challenged the Act on grounds of legislative competence, Article 14 and 19 of the Constitution, and extra-territorial operation. It was argued that the framing of such Acts was the prerogative of Parliament, and not of the state assembly, as it fell within the ambit of company laws and acts related to the Security and Exchange Board of India (SEBI). With the High Court striking down the law allowing premature retirement of the bond, state government, say observers, is left with little option but to payments to all those who allowed their bonds to be prematurely redeemed, as also those who had not returned the bonds. The SSNNL claimed in December 2008 that 3.39 lakh bonds had been "surrendered", which meant 50 per cent of them were not surrendered. Interestingly, before deciding on prematurely redeeming the bonds through an Act, the SSNNL attempted to hold an extraordinary general body meeting to take consent of more than 75 per cent of bondholders to pre-redeem all the outstanding bonds compulsory at the end of 11 years (May 2004). This met with failure. The state government knew, much of its debt burden was due to the SSNNL, which had already spent Rs 717 crore, Rs.944 crores and Rs.766 crores respectively, for years 2002-03, 2003-04 and 2004-05 on interest payments and debt servicing alone. Cumulatively, SSNNL spent Rs 2428 crore over the three years. Criticizing the Deep Discount Bonds against this backdrop, it noted, “Without any systematic plan for redemption of bonds”, the SSNNL “went on borrowing for redemption of earlier debts, which resulted in abnormal increase in the expenditure on servicing the debt”. They have 3 to 4000 cr as money to build a statue but they feel helpless when they have to return the 7000 cr to investors?